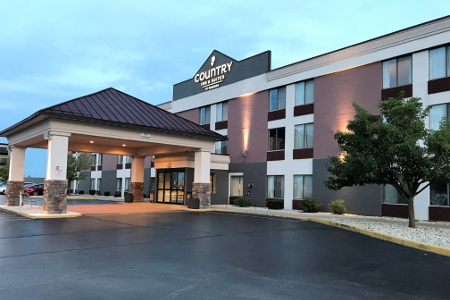 Stay less than 10 minutes from downtown Racine when you choose the Country Inn & Suites® by Radisson, Mt. Pleasant-Racine West, WI as your relaxation destination. 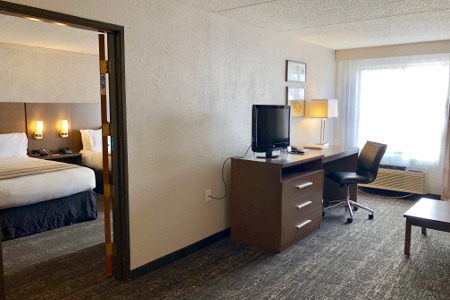 Our location off I-94 in Sturtevant is the ideal launching pad for attending business meetings at nearby CNH Industrial and Bombardier Recreational Products or for making memories at the Racine Zoo. 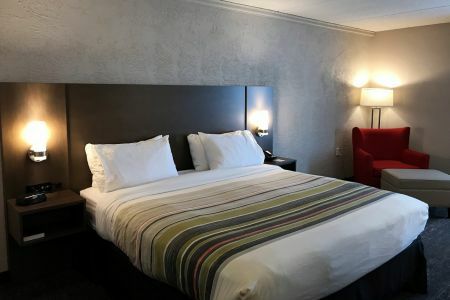 Six Flags Great America and Miller Park, home of the Milwaukee Brewers, lie 30 minutes away, and General Mitchell International Airport (MKE) is just a 20-minute drive to the north. Feed the whole family without cooking anything, thanks to our free, hot breakfast. Simply roll out of bed, get dressed and walk to the dining area for eggs, Belgian waffles and a flaky Kringle pastry, considered the pride of Racine. When hunger strikes while you’re sightseeing in Sturtevant, indulge in a delicious lunch or dinner at nearby restaurants like The Summit and Route 20 Outhouse. Skydive Midwest – You can cross skydiving off your bucket list at Skydive Midwest, located less than five minutes away. Take to the skies to view Chicago's skyline! Racine Art Museum – Browse galleries filled with paintings, textiles and photographs, take an art course or wander around the property to glimpse the six steel sculptures at Racine Art Museum, just 9.3 miles away. Racine Zoo – Head northwest for 10.6 miles to reach the Racine Zoo, located on the shores of Lake Michigan and home to more than 250 animals on 28 acres. 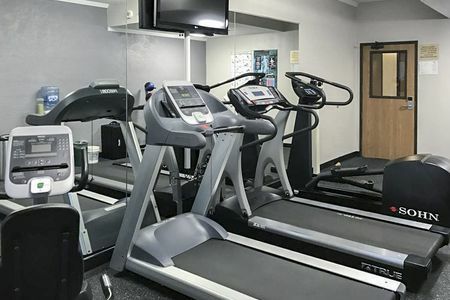 Close to a number of businesses like Poclain Hydraulics and S. C. Johnson, our hotel offers a 384-square-foot meeting room that’s ideal for hosting small-scale get-togethers for up to 25 attendees. Plan an event and visit the on-site business center to print information or make copies for your presentation.